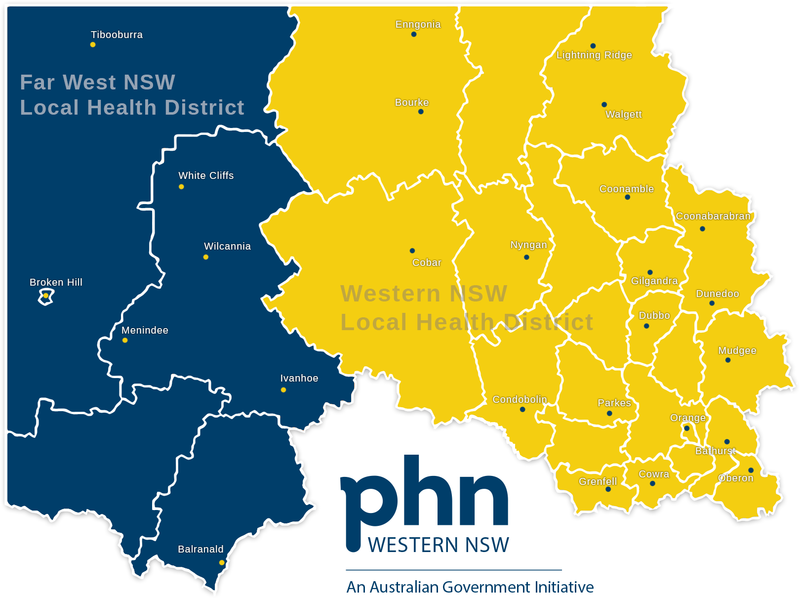 Western NSW Primary Health Network (WNSW PHN) covers both Far West and Western NSW Local Health Districts across a total area of 433,379 square kilometres, making it the largest PHN in NSW (at 53.5%). The total population is estimated to be over 309,900 people, with 18.5% over the age of 65 years (ABS, 2016). Approximately10.5% of people in our region identify as Aboriginal and Torres Strait Islander. WNSW PHN supports 405 General Practitioners that operate from 108 practices in our region. For more information on our region please download our 2018 Regional Health Profile.